Hypnotherapists are experienced and qualified in supporting and helping clients to positively change how they think and feel about themselves and their life. The change could be anything from a habit or phobia, feeling confident, having more self esteem or reducing stress and anxiety....in fact the list is endless. With hypnosis the client learns to relax naturally so the subconscious mind will begin to positively accept the changes the client wishes to make. The therapy helps assist the clients conscious mind to learn to adapt physically and emotionally to the changes they are making. At H.J.B Hypnotherapy the person centered approach is used which allows the client to feel in control. This method gives clients the confidence to bring the changes they want to make and help them through some of the challenges they may face by doing so. 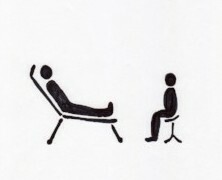 Before hypnotherapy sessions can begin there will be a two hour initial consultation appointment. This allows time to discuss essential information, including current medication and family medical history. Included in the consultation a 15 minute PMR relaxation hypnosis. Weekly sessions for 6 weeks is recommended to begin, as this will be when most significant change happens. At H.J.B Hypnotherapy 15 minutes of Reiki before hypnosis helps to relax the client. Easy to use relaxation exercises to use between sessions builds an awareness in the client of self-support once therapy ends. Session times are normally 75 minutes long. A time frame of how many sessions in total a client may need is varied and therefore unpredictable. Appointments available at H.J.B Hypnotherapy, Essex and at the Royston Complementary Health Centre, Hertfordshire. Appointments are Monday to Friday 10am to 6pm. Evenings (after 6pm) Saturday morning appointments and home visits available at an extra charge. Hypnotists on stage and television provide an entertaining show for the audience. By guiding the audience, through conscious suggestion, they will invite up on stage those who are most willing to take part and who will be most cooperative. Stage hypnotists normally have some knowledge or could be qualified hypnotherapists. Their acts are for entertainment purposes only and should not be compared, in any way, to clinical hypnotherapy for mental health and well being. For a full list of prices for hypnotherapy please click on the button below.